PMC Cor is company's first non-pro integrated amp | What Hi-Fi? Called 'Cor', the Class A/B amp is intended to add no sonic character of its own. PMC has also avoided any digital connections - Cor is strictly analogue. 'Cor', at least according to PMC, means heart or soul. It's also an expression of surprise and delight, which was our reaction when the company announced its first consumer integrated amplifier at the Munich High End Show. According to PMC, Cor "adds no sonic character of its own to the music." That's a bold claim. PMC has also paid attention to the circuit design, striving to minimise interference and produce the best transparency. The company has also designed a custom-designed power transformer, made of 'MuMetal' that can apparently absorb 200 times more magnetic flux than steel. 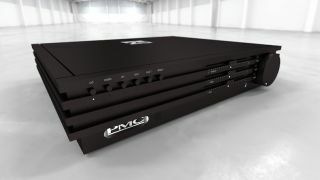 On paper it looks very impressive, but will PMC's first integrated amp be a success? We look forward to reviewing it and finding out.